If you are a Green Party member living within the Amber Valley Borough Council boundary then you should have received an invitation to vote in the ballot currently taking place to decide whether Amber Valley becomes an independent local party. Previous experience tells me that emails sent to a large number of addresses at once sometimes end up in junk, spam or bulk mail folders. If you are an Amber Valley member and don’t think you have received your invitation then please check this/these folders. If you still can’t find it then it may be because we don’t have an up to date email for you. Please contact me to ensure you have the opportunity to participate in this important vote. Looking up at grey skies in August, I’d say many of us have flippantly said “Global warming? Bring it on!” More seriously, opponents of action on climate change have made claims of beneficial effects of warming for agriculture and the economy as a whole. Maybe the storms and flooding of the last few days, repeating and exceeding the floods of last year and the year before have provided a more sombre idea of the effects of global warming on our weather systems. In this post, Phil Ælse explains why global warming won’t be a pleasant experience! What does the term global warming means to you? Do you envisage yourself enjoying balmy days on Blackpool beach, strolling along the promenade at Llandudno in shorts and sun-glasses, and picking coconuts from the palm trees along Skegness front? Unfortunately, whilst the general temperatures will increase in the short term, the specific effect on Britain could be less pleasant. Think Costa Rica not Costa Brava: increased humidity; sweaty, smelly bodies; respiratory illnesses and skin disease on the increase; viruses and bacteria that flourish in dank conditions running riot; food spoiling rapidly and drinking water that needs boiling before use. Britain’s Geography make it a damp place – even Julius Caesar commented on that: “The nights are short and the weather miserable, with frequent rain and mists.” Global warming won’t change that. The Pennines cause water vapour to rise and that soon comes back down as rain. In general terms the east of Britain suffers more from this effect than the west, as the colder air streams across the North Sea are more ready to dump rain than the typically warmer Atlantic and its beneficial Gulf Stream to the west. The Gulf Stream is a continuous current of warm water that runs from the Gulf of Mexico across the Atlantic and up the west cost of the UK. This is what gives places like North Wales and Lancashire relatively warm coastline, compared to places at the same latitude, such as Newfoundl and on the Canadian east coast. But whilst the sea and air temperature of the west coast is higher than the US east coast it is the welsh mountains of Snowdonia and the Pennines that then cause the cloud vapour to rise and dump rain on us. Now, imagine if we warmed the ice cap at the North Pole. This will result in a stream of cold water pushing down the Atlantic and could cause a diversion of the Gulf Stream, pushing it south and away from the UK. This would remove the beneficial warming effect from our coast line and seas, and would means that we wouldn’t get the same comfortable temperatures, but we would still get the same clouds hitting the Pennines and rising to fall as rain. Except this is now more often going to be as snow and ice during the winter. So, yes, an initial rise in global average temperatures may give you a slightly warmer climate – with all the problems of warm humid climates. But by 2050 we could start to see the diversion of the Gulf Stream, meaning that the climate our children will ensure will be more like that of Canada, with three metre deep snow drifts, transport chaos and frozen water pipes. The worst case result of the diverted gulf stream is that there will no longer be any warmer water streams being sent up to the Arctic Circle’s seas. The glaciers and ice caps will ultimately spread, not shrink, and northern Europe and the UK will eventually (and whilst not in our grand-children’s life time, fairly rapidly in geological terms) be brought in to the next ice age. This has precedent. 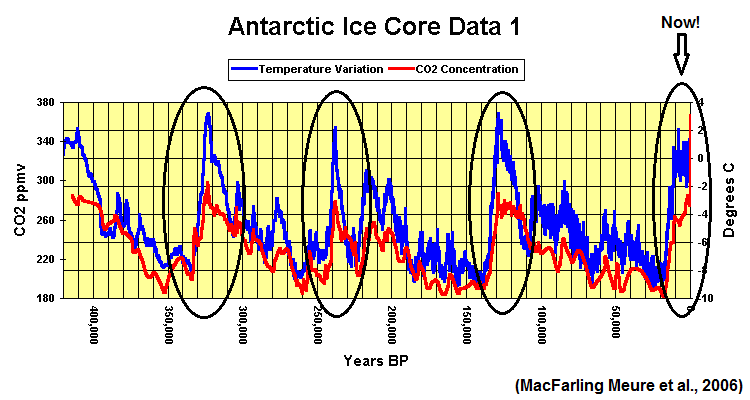 Ice core samples have been taken from the Poles and from ancient glaciers that show there is a direct correlation between rising CO2 levels and an eventual decline in to an ice age. The last big ice age, some 11,000 years ago caused the Gulf Stream to shut down. The regional climate of the Northeast Atlantic became considerably cooler and as a result north-western Europe dropped back to ice age conditions within tens of years of this diversion. So how is this our fault? Humans have only been around for a few thousand years, and ice ages have happened for millions of years and multiple times. Cows and pigs haven’t just started pooping and parping. What’s changed? The difference in this case is the speed in which carbon dioxide (the most prominent greenhouse gas) is rising during the global industrial age compared to previous pre-ice-age periods. Each ice-age has been preceded by a gradual increase in carbon dioxide over thousands of years. In the last three hundred years, the rate of carbon dioxide has increased vastly, meaning that the rate of increase of the ice core graph is not a curve as in previous occurrences, but a near vertical line as can be seen on the extreme right of the graph. This meteoric rise is a result of our massive increase in carbon emissions from our altered way of life. Flying, driving and heating with fossil fuels means we are creating CO2 in spades. Demanding fresh meat on our table every day means we have millions more cattle animals than we ever had before. To satisfy this demand, animals are now raised in factory conditions. Raising animals on pastures can be a means of absorbing CO2, but these intensive methods add to the emissions that are changing the climate on which we depend. An economy based on producing and marketing ever increasing numbers of disposable consumer products means more and more energy is used in creating, transporting and disposing on giga-tonnes of products, many of which are used once then thrown away. We need a different kind of economy. One that serves the needs of our communities rather than a continual treadmill of production for production’s sake. We need to get rid of the nonsense of long supply chains for goods that can be produced locally. We can make a start in our own lives by buying local produce and supporting local shops, by sharing tools and equipment that aren’t needed every day – but in the end the system must change. We need to move a distributed modern energy system based on renewable energy with people in control of their own energy supply. The UK already has some community energy projects – other European countries, such as Germany have a lot more. If there is no community project, what about installing solar panels or switching to an energy provider that provides equitably generated electricity, and tell the fuel guzzlers WHY you switched. And even when it seems like talking to the wall, we need to make sure our MPs know how we feel when they vote for things like fracking. Don't rubbish this agreement, it's all we have. effective action on climate change. Together, we are demanding that governments finally acknowledge that so far they have failed us. So many conferences have come and gone and emissions and temperatures have continued to rise. Despite pledges to end subsidies on fossil fuels, governments in many industrialised countries, including our own, have dramatically increased such subsidies and have supported technologies that carry a high risk of pollution, such as deep sea drilling, fracking, and extraction of oil from bitumen (tar sands). World wide, fossil fuel subsidies are at least 4 times higher than subsidies on renewable energy sources. The number is even higher when failure to internalise costs of environmental pollution are taken into account, as they were in the IMF report released in May 2015. That report estimates subsidies as around 10 million dollars per minute. On Monday, another conference will start in Paris. Can we expect any better? Certainly not if we aren’t prepared to fight, to insist, to not let them off the hook. Pledges made by individual countries, so far would see temperatures rise by more than 3 degrees – a catastrophic result. The conference is promoted as “business friendly” and corporate lobbyists are present in force, where ordinary citizens are excluded. We are promised business solutions, but, big business’ “solutions” for the climate remain basically the same: prevent any meaningful global action to reduce greenhouse gas emissions, avoid any form of public scrutiny and regulation by pushing failed market-based mechanisms such as a ‘global carbon price’, and promoting various for-profit schemes and hazardous techno-fixes. Everyone can do something. Just making our representatives aware that we are watching their response to the demand for real action on climate change. On Saturday, Green Party members in the High Peak constituency were out talking to people in Glossop, encouraging them to sign a letter to our MP, Andrew Bingham. Please download the letter and send it to Andrew Bingham, or adapt it to include your own concerns – or send a similar letter to your own MP. Junior doctors form a core part of the front line staff in our health service. Without them our NHS would collapse, especially as we approach the winter months. Junior doctor is a misleading label – it covers all doctors and surgeons other than GPs and hospital consultants. Doctors working in hospital specializations typically spend between 10 and 14 years as “junior” doctors, working punishing hours, with high levels of responsibility, while also studying for further qualifications needed for their specializations. Now, faced with the threat that new contracts will be imposed, these doctors have voted overwhelmingly for strike action. The decision to strike is not one that any health care worker takes lightly. The junior doctors deserve our support. The future of care in the NHS is at stake. When the Conservatives scraped into power in May with 36% of the vote, they thought they had a clear path to run the NHS as they pleased – and what they want is to move away from our cherished, publicly owned model, to an insurance-based model like the US health care system. That sounds great – but the new contract shows that this is to be achieved by getting already stretched and overworked NHS staff to do even more. Some junior doctors are working up to 90+ hours a week! This is clearly unsustainable for the junior doctors and a risk to the patients that they are providing care for. The government’s proposals are essentially non-negotiable with 22 out of the 23 proposals being off limits for discussion. To me, that’s not negotiation. It’s an attempt to impose an unfair contract on junior doctors, trapping them into a situation where they would have to accept or take strike action. It wouldn’t surprise me if the government tried to conjure up images of the Winter of Discontent (1978-79), in which public sector workers went on strike on mass. Rather than enter into real negotiations with the BMA, as the union representing the doctors, Jeremy Hunt has launched a media campaign with the aim of winning a public relations war. He’s attempted to show the doctors as rejecting a decent pay offer (11%) and reduced overtime hours. What he fails to mention is that the number of hours during the working week that are classed as unsociable – and therefore attract an extra payment – is being cut by 25%. So doctors will work more hours at the basic rate. This is a “cack-handed approach”, in the words of Chuka Umunna on Question Time on the 5th November. However, he didn’t give a clear answer about whether he supported the junior doctors. Only Victoria Corren and Jenny Jones (Green Party Peer) offered any firm support to the plight of the junior doctors. Now the result of the ballot has been announced, and an overwhelming majority have supported strike action. In Chesterfield, there will be a picket at the Chesterfield Royal Hospital on December 8th. I will be supporting it and urge as many Green Party members and supporters (as well as anyone else who wants to defend the NHS) to join me. I appeal to Toby Perkins, the Labour MP for Chesterfield, to support the junior doctors at this picket and any future pickets in the run up to Christmas. Furthermore, I will also aim to work with all progressive forces in Chesterfield to support this strike action including the Chesterfield and North Derbyshire Save our NHS Campaign, the Liberal Democrats, TUSC, the Socialist Worker’s Party and Chesterfield Women’s Equality Party. against the government’s disastrous policies. Everyone can do their bit to save the planet and build a better society. Over 80 people, of all ages, squeezed into a meeting room in Chesterfield last night, for a meeting organised by the Campaign Against Climate Change (CACC), supported by the local TUC, the Green Party and the Socialist Workers Party. Margi Senior became active because of plans to drill for gas in nearby Calow. Local people came together, sharing skills and energy, and together they got the application thrown out, initially by the county council planning committee in Matlock ( in June 2014) and then at an appeal at the end of October. ” Hopefully that is the end of the matter” she said, an example of People Power that can and must exerted elsewhere to stop fracking and similarly harmful extraction methods. The note of hope and optimism she struck continued throughout the evening. The World Meterological Organisation reveals that global temperatures are already 1 degree higher than pre industrial temperatures, half way towards the danger zone of 2 degrees higher. The world is “already in unchartered territory” and needed to act fast and dramatically, starting in Paris next month at the United Nations Conference on Climate Change. . The World Bank ” Managing the Impact of Climate Change on Poverty ” predicts that an additional 120 million people would be thrown into extreme poverty by the impact of climate change. The report calls for ” comprehensive packages of carbon emission reductions” although its proposals remain focused on technological and big business solutions. 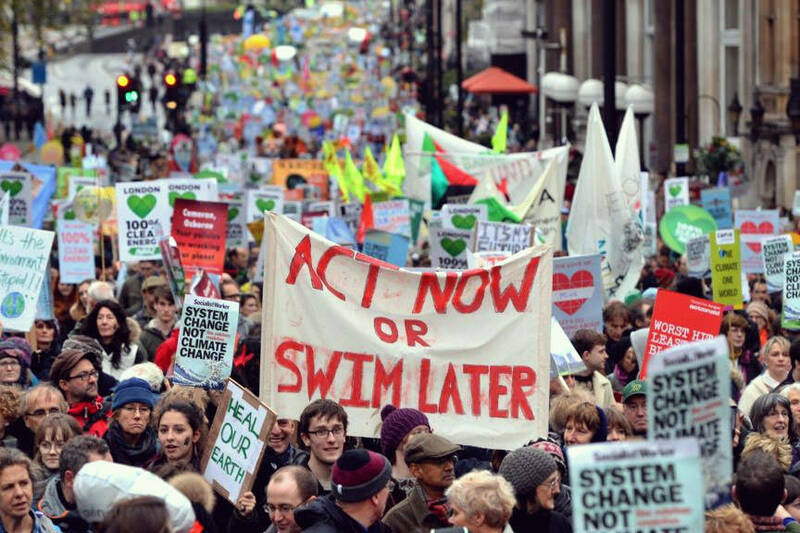 The CACC instead emphasise the importance of the People Power and the need to create a broad based popular movement to demand serious action on climate change. 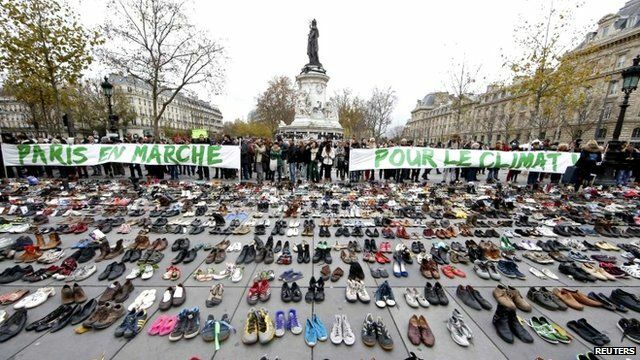 The Paris talks should be regarded not as a last chance but as an opportunity for this movement to develop and grow. Martin spoke of ” a growth in confidence among activists on the ground” and an increasing willingness to discuss fundamental issues and the need for radical change to create a better and fairer society, as evidenced by the popularity of the work of Naomi Klein. Chesterfield TUC chairman, James Eaden, introduced the final speaker, Natalie Bennett, leader of the Green Party, saying how good it was to see and hear a prominent politician speaking out, and attending marches and rallies, about a whole range of important causes- trade union rights, respect for refugees, climate change etc. Natalie spoke of her attendance at a lobby of Lancashire County Council, when, under pressure from a well organised anti fracking campaign, councillors, including some Tories, had rejected plans for fracking. There was a need for a message of optimism and hope she said, agreeing with Martin that the need for action on climate change presented an opportunity to create a better, fairer, more sustainable world. Although people taking individual action to reduce their own carbon footprints is all well and good, what’s really needed is fundamental systemic change, and the creation of a movement capable of bringing this about. In response to discussion and questions from the floor Natalie reminded the meeting that the Tory Government had no mandate for its programme, including its withdrawal of support for green energy measures. We can’t wait until 2020. We must act now. Everyone can do their bit to save the planet and build a better society. Among the wisest words of the evening were those spoken by a young Green Party member who made reference to the mini election that took place in his school on General Election Day. The Green Party had got more than 100 votes and the Labour Party over 80, compared to the Tories only getting around 20 and UKIP less than 10. The desire among young people was for real change. What he and they couldn’t understand was that the left seemed to concentrate too much on what divided them rather than what they had in common. This had to change. His contribution got perhaps the loudest applause of the evening, suggesting those in the room, whatever their age, agreed with him. A new Age of the Train? Are we about to enter a new Age of the Train? 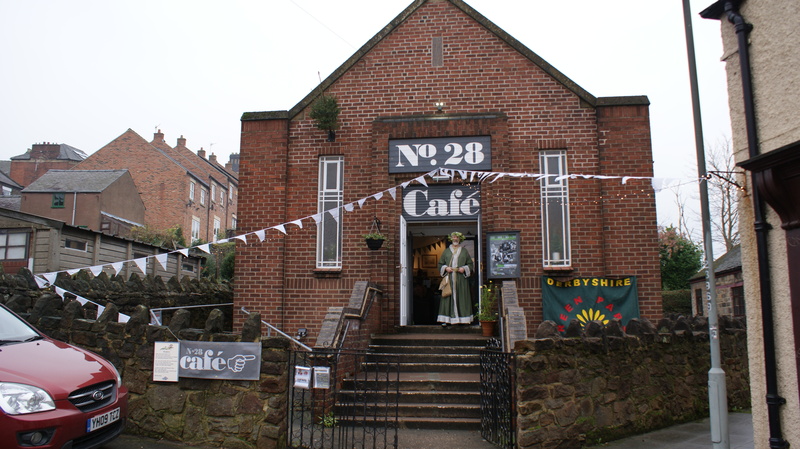 Green Party members from the High Peak local group have been looking at the fine print of Government policy, and doing a bit of informal research out and about in Derbyshire. First of all, what do people actually want from the railways? Well, a good start might be that the travelling public should be able to buy a ticket to their destination and then get to the appropriate platform, and yet at many of Britain’s stations neither of these basics can be assumed. You wouldn’t think that just buying, or trying to buy a ticket would cause huge problems, and yet we have found in this part of the country that it is the hassle of getting a ticket that exasperates people just as much as expensive ticket prices, poor station access and late trains. People put up with unmanned stations. Everyone has experienced being crammed onto an ancient, crowded train with just one guard. The last straw for travellers is when in addition to hurrying to get to work on time, they have to queue at their destination to buy a ticket before leaving the platform to avoid being fined. Try persuading a commuter to ‘think green’ and swap their comfy car for that option! Northern Powerhouse – rhetoric and reality on separate tracks? Great words – but at the Green Party we really wonder whether these ambitions can ever be achieved for the travelling public when it’s private companies bidding for franchises who are in the driver’s seat. An issue we care about passionately at the Green Party is inclusion, providing a civilized society for everyone. Cloud-cuckoo land? Well, what about just getting to the platform? 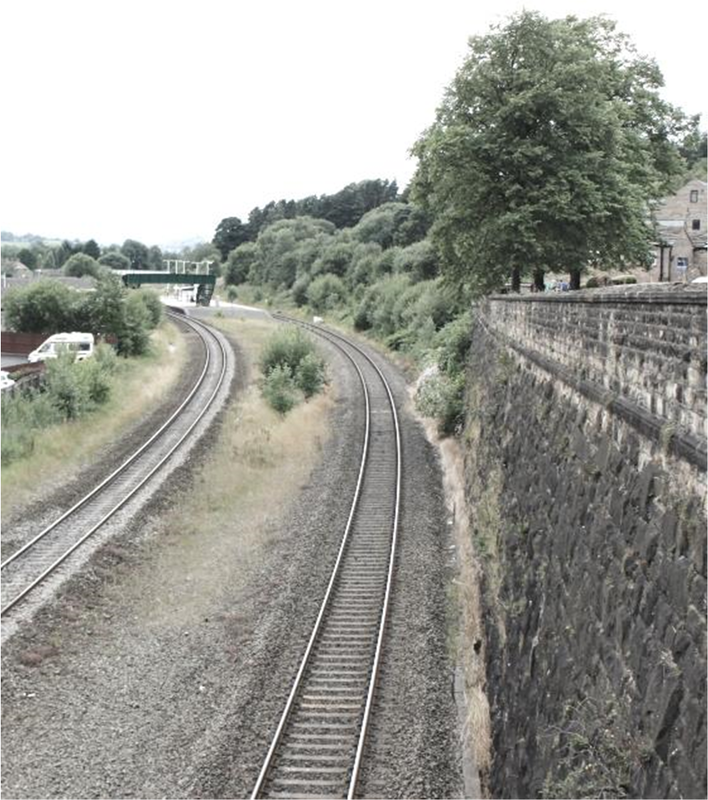 One of our members spent a few hours observing conditions for travellers at Chinley, a station on the mainline between Manchester and Sheffield, where the only access to both platforms is via a footbridge with two sets of steep steps. Mums and Dads with pushchairs struggle to use the steps safely. Travellers to/from Manchester airport risk hurting themselves hauling heavy suitcases up and over the footbridge, and of course people with a mobility problem or people who use a wheelchair are nowhere to be seen. No ramp, that’s your lot, so they don’t come. The Green Party demands an inclusive society, and we will acknowledge progress where it has been made. 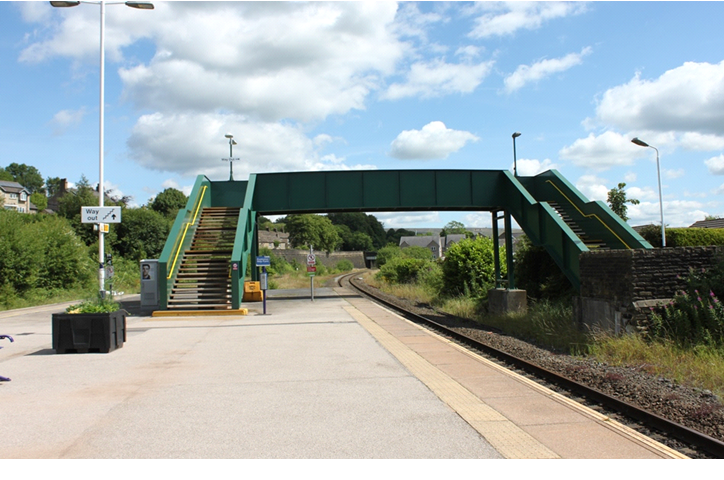 Representatives from the rail companies and the Department of Transport would argue that Access for All and Station Improvement programmes have delivered substantial improvements to many stations, and rail operators have a duty to help if access to a particular station is substantial. The Equality Act of 2010 does offer some protection for rail users if they feel discriminated against, but when it comes down to it, members of the public would just like to travel in safety and comfort from A to B without having to consider taking court action against the operator of the services, or tweeting yet another “dissatisfied” comment to Customer Services. The Green party isn’t satisfied that our railways are being run for the benefit of citizens, and has committed to implementing a comprehensive plan for fully accessible transport so that public transport will be usable by all members of the public. What’s more, the Green Party feels strongly that the privatisation of the railways has created a situation where the tax payer is like a supplicant at the gate of the Lord of the Manor, begging for alms. We are not satisfied with this relationship. The needs of all of our citizens are our first priority, and only by taking proper control of our national rail network can we hope to achieve a civilized service for everyone. We want our railways to be more accessible and attractive for everyone. Only when and if this happens will people ever be able to choose to leave the car behind and opt for more environmentally friendly means of transport which, alongside other benefits, will help provide a sustainable long–term solution to our chronic air pollution. It is time to act. Long past time! In December, world leaders will meet in Paris to discuss international action on climate. After years dragging their feet, our government has gone into reverse gear. Tax breaks for oil companies, fast tracking for fracking, sabotaging clean energy projects by slashing subsidies. The Green Party is the only party that puts action on climate at the centre of its policies for energy, for economic renewal, for transport, for housing. So, we have a lot to contribute to a conference that aims to look at the alternatives to austerity and climate chaos. I’ve shared many platforms with you, from opposing Britain’s disastrous and bloody war in Iraq to supporting investment in the economy in place of relentless and cruel austerity. Your inspiring campaign has put so many of our shared values into the centre of the debate in British politics. As far as I know, no-one has claimed to have predicted the phenomenal progress of Jeremy Corbyn’s Labour Leadership campaign – and that includes Jeremy himself. Reliant on the nominations of MPs who won’t be voting for him (including Derby South MP Margaret Beckett, a supporter of Tony Benn in her young days, but now publicly regretting her action) who were persuaded to nominate him in the interest of widening the debate (and perhaps under pressure from their constituency activists), he is now the runaway leader in the race and odds on favourite to be elected when the result is announced on September 12th. It is Jeremy’s success in challenging this ridiculous (and assumed) consensus that has been so significant and so pleasantly surprising. His campaign seems to involve a desire to offer hope rather than despair and cynicism, and a wish to move rather than merely chase the centre ground. His campaign benefited from early endorsement by the UK’s largest trade unions, UNITE and UNISON responding to demands from their activists for a challenge to the ‘ridiculous consensus’ that has seen public services slashed and real wages for most workers declining. There also appears to have been a ‘red surge’ in support from both young radicals and former Labour Party members, returning to a party which they felt had left them.Many who remained in the party must also be delighted to be able to reveal their true colours and vote for someone who retains the idealism that brought them all into politics.This combination, of organised labour, young radicals and reinvigorated socialists has created a momentum which looks like winning Jeremy the leadership. Looking at the reaction to Jeremy’s success in the media and in the political establishment, it’s interesting to see parallels with the reactions to the Green Surge and to contrast it with the reactions to the UKIP rise in popularity. UKIP’s views, despite (or maybe because of) their divisiveness were accommodated and taken very seriously by the media. The Conservative and Labour leaderships moved to challenge not the xenophobic views, but rather UKIPs monopoly in holding them. Those views were no real threat but rather a useful diversion to distract people from the real roots of our problems. Like the Green Party, Jeremy was first dismissed as irrelevant and then ridiculed (beards, bike-riding, and dressing like a teacher apparently are serious obstacles to being taken seriously). Finally, when it became clear that he could succeed, his ideas were condemned as unrealistic and he was subjected to personal and political attacks and slurs. His proposals, like Green Party policies, are a real threat to powerful vested interests. Green Party principles and policies. Green Party MP Caroline Lucas has written an open letter to Jeremy welcoming his break with ‘ consensus’ politics and looking forward to working with him “to bring about the progressive politics that has inspired us both for so many years”. The meeting welcomed this initiative and agreed with Caroline that the Green Party has much to contribute to this progressive politics, which needs to be green as well as red, addressing the issues of climate change and ecology as well as social justice, and reforming our democracy including introducing proportional representation. When we think of energy efficiency, we often think of making homes and businesses more efficient in their use of energy. Combined heat and power (CHP) confronts efficiency from the other end of the chain, looking at how to make use of the heat that conventional power stations produce as a waste product. Phil Else explains how CHP works and why it is a technology that’s ideally suited to small-scale local initiatives to produce power and heat for farms and communities. Not something that seems to be at the fore front of domestic heating issues, CHP systems are rapidly becoming an important alternative form of energy that small scale farmers are using to generate additional income and make use of farm land that they are prevented from using due to the fallow-land subsidies to reduce the ‘food mountain’. Electricity is generated using a gas or diesel powered engine. Such an engine, just like your car engine, generates a phenomenal amount of heat that is ordinarily vented to the atmosphere, however this heat can be recycled to run domestic or commercial heating systems, generate steam or provide heat to greenhouses and similar processes. The engines can be set to run off bio-diesel or bio-gas, which can be created from the waste products of greenhouses, such as vegetable and fruit leaves and animal waste. They can sell the electricity generated to the National Grid (on currently decreasing tariffs) and they can also use it to power their homes and farms. The engines are fuelled by gas generated from vegetable waste product. How can CHP systems help support Green Party values? The engines can be used to provide electricity to local homes, businesses and infrastructure (eg: street lighting). Being relatively small (about the size of a road transport container) they can be sited close to schools, council offices, care homes, market places, hospitals and housing estates. Sited and used locally the systems have an intrinsic value to the community and can reduce community or residential power and fuel bills. A council owned system can be used to benefit local charities and social housing schemes by providing free or subsidised heat and power. A small engine (400 kW – enough to power a large clinic or small school) costs approximately £350,000 plus a maintenance contract. If used to feed the national grid the pay-back period using locally generated bio-gas is 7-8 years, or if used to provide heat and power to social housing has a much greater intrinsic value. Phil Else is a lecturer at Trafford College, Greater Manchester. Having been involved in the plumbing, heating, ventilation and air-conditioning industry for many years and has turned his hand to teaching the subjects related to the building services industry. Green ideas and technologies are firmly linked with providing sustainable buildings and protecting the environment, and Phil tries to ensure that green issues are raised and considered as part of any on-going design and at construction project inception. Phil joined the Green Party in 2014. Peter Allen travelled from Glossop to be part of the Green Bloc in the End Austerity Now rally in London on June 20th. Here are his impressions of the rally. It was hard to disagree if you were there, along with tens of thousands of others, to express opposition to the new government’s claim to have a mandate to cut welfare provision and public services when, in reality, they only won the support of a quarter of the electorate at the recent general election. The marchers reflected the diversity of modern Britain. It was particularly encouraging to see so many young people taking part, challenging the lie that young people ‘ don’t care about politics’ and giving us all hope for the future. 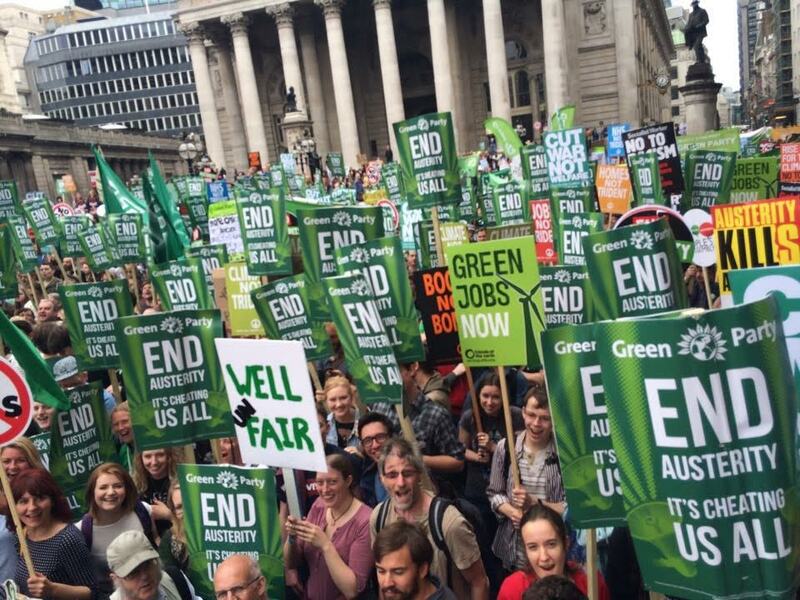 Green Party members were present in large numbers , and our new placards with the slogan ‘ END AUSTERITY .. IT’S CHEATING US ALL ‘ were prominently displayed. There were also lots of home made placards with creative and imaginative statements. Among my favourites was ‘ Historians Against Going Backwards’ and one which simply said ‘ The wealth of the rich has doubled’ There was also music and dancing and a generally good vibe. The route of the march took us from the Bank of England to Parliament Square, where the vast crowd was addressed by a range of speakers including Owen Jones and Jeremy Corbyn from the Labour Party , Martin McGuinness from Sinn Fein , trade union leaders Len McCluskey and Mark Serwotka, actress Julie Hesmondhalgh and singer Charlotte Church. And our own Caroline Lucas of course who hoped for a ‘ progressive alliance’ to oppose the government’s ‘ ideological war on welfare’. It was appropriate that MC for the event was Romayne Pheonix, Co-chair of the People’s Assembly and the Green Party’s Trade Union Liason Officer, symbolising the Green Party’s commitment to both popular protest and trade unionism . In the week before the march, George Osborne claimed that welfare spending is “unsustainable” and has “spiralled out of control”, and on Monday pledged to push forward with 12 billion more of welfare cuts. 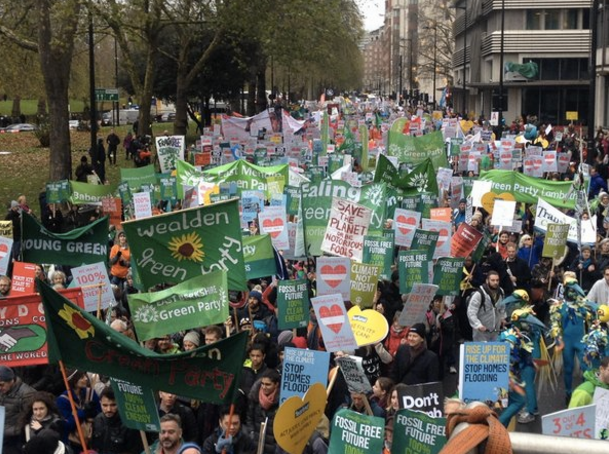 In the Green Party, we know something about sustainability – and it’s not welfare spending that is out of control, but rather the concentration of wealth in a few hands and the undemocratic influence this gives to those few. Investment in our public services and our people can create a truly sustainable and fair society. Concentration of wealth in the hands of so few is not sustainable if we want to maintain (or regain) a democratic system. Economist Henry Wallich claimed that “Growth is a substitute for equality of income. So long as there is growth, there is hope and that makes large income differentials tolerable”. We know that infinite growth on a finite planet is not possible, so we need to turn that round and make equality a substitute for growth. Our public transport system has been neglected for decades and since market forces and privatisation became the shared ideology of Conservatives, Labour, and LibDems, things have just got worse. Our public transport is fragmented, expensive, and inefficient. Not exactly an incentive to leave the car at home! We need a properly integrated public transport system that focuses on the needs of the people using it rather than private profits. Voting Green is the first step to getting that. We see that education is in crisis at all levels. The most visible symptom of a sick system is certainly university tuition fees – more expensive than in any EU country. Our country is one of the most wealthy in the world, but the government claims we cannot afford to provide free university education – though several European Union countries can. A generation of young people are leaving education burdened with debt. According to an Institute of Fiscal Studies report, 3 out of 4 graduates will still be paying the debt 30 years after leaving university – at which point the debt will be written off. This is a cruel policy – and one that fails to bring in significant revenue. The Green Party believes that higher education should be free. Developing the talents of young people is a benefit to our communities. But the issue of tuition fees is just the tip of the iceberg. We have a deeply disaffected teaching profession whose professional expertise has been ignored, and who have been turned into form fillers. One-size-fits-all courses and bean counting tests have been introduced, that ignore the professional expertise of teachers to determine the individual needs of children. The Green Party believes that children are over-assessed and teachers are over-regulated. Teaching to the test is not satisfying teaching and it’s boring for students, yet that’s what successive governments have obliged teachers to do. We need to free teachers and pupils to rediscover the excitement of learning, released from the shackles of a system designed with only economic competitiveness and preparation for work in mind, and with excessive teacher workloads burdened by bureaucracy. Take a look at Green Party policy on education. By the end of last year 61,970 homeless households were in temporary lodging, from B&Bs to homes rented from private landlords, of which 46,700 were families with children. That’s already 61,970 households too many. But the most common cause of people becoming homeless is the ending of private short-term tenancies. So how many more are living with that fear hanging over their heads – not knowing whether they’ll still be able to live in the same neighbourhood, send the children to the same school? The private letting sector just doesn’t work for people who want to rent long term. At best, there is always the worry that tenancy won’t be renewed next time (many tenancies are only six months). We need a huge expansion of social housing where tenancies are assured and rent is controlled.That’s Green Party policy. 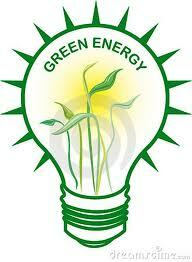 The Green Party energy policy is for energy security today and in the future. Scientific evidence tells us that we MUST stop burning fossil fuels or face catastrophic consequences in the future – the not too distant future. In the here and now, business as usual energy policies are failing many people- people who are forced to choose between heating and eating. Green Party policies for investing in making homes more energy efficient will reduce energy bills by reducing use, protecting our planet for the future and our people in the present. Do you believe that the minimum wage should pay for a decent life, for a home, for food on the table? The Green Party alone is standing for a living wage and against austerity, cuts, and zero hours contracts. Vote Green on 7th May. Over 550 Green candidates will support the wiping of Student Tuition Fee debts. All the 3 million people with student loans (+ family and friends) have to do is Vote for them, and they will have to change the colour of the door in No. 10! If you can spread the message particularly now, as the deadline to register to vote is the 20th, then sixth formers and their concerned parents, etc, will also have the opportunity to vote Green. To watch part of Natalie Bennett’s speech with a list of candidates and a link to registration click the link. 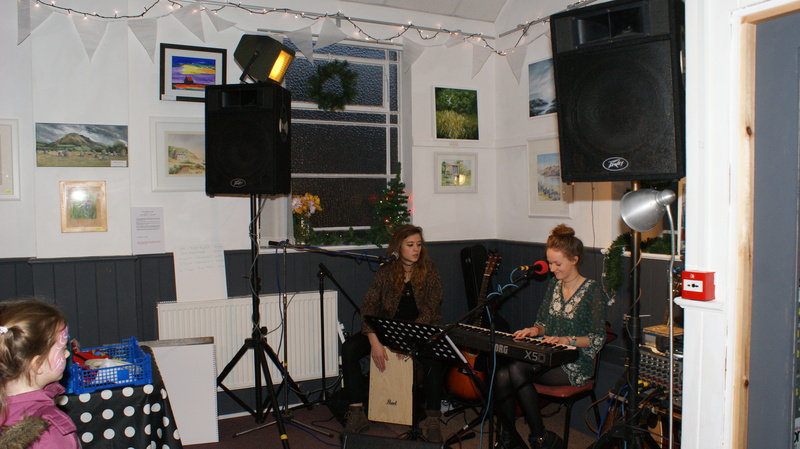 Mid Derbyshire's Green Christmas event a big success! 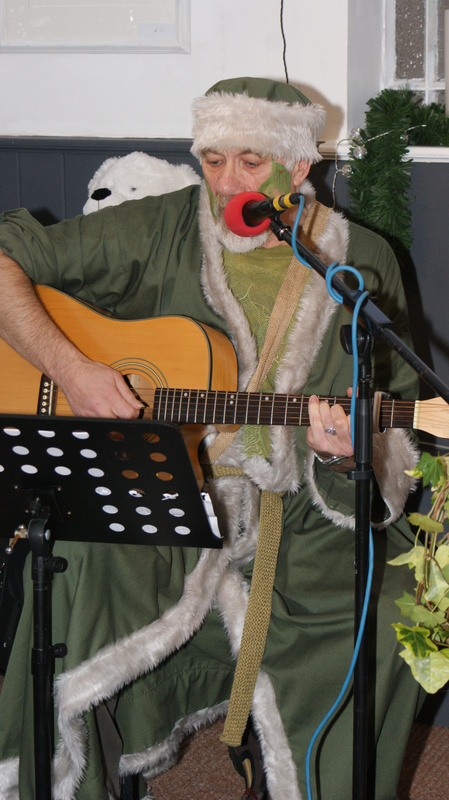 On Saturday, 29th November, Mid Derbyshire Green Party hosted their first ‘Green Christmas’. 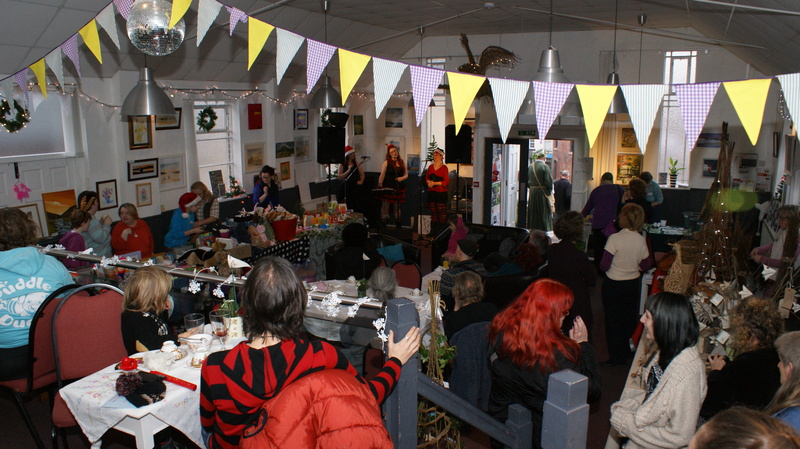 The event was visited by over 200 hundred people, with lots of interest in learning more about the Greens. 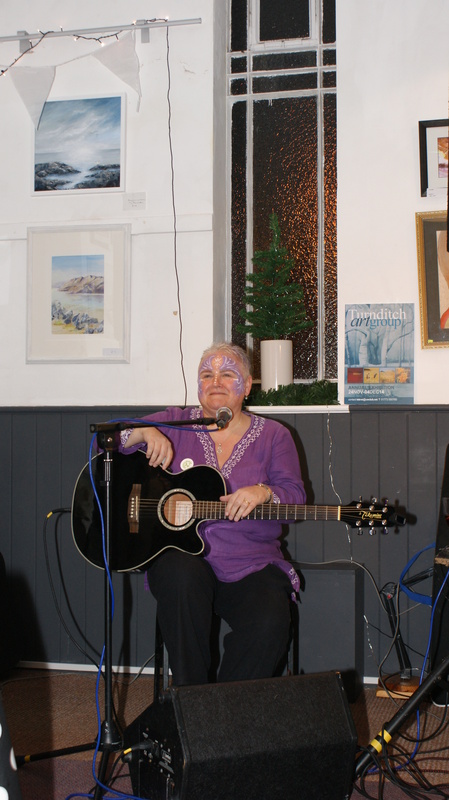 There were craft stalls selling sustainably sourced products, and a raffle including such varied prizes as a reflexology session, original artwork, and handmade crafts. Reminisence Vintage provided tea, cake and mulled wine, and live music was provided by local Green Party candidates, members and supporters. 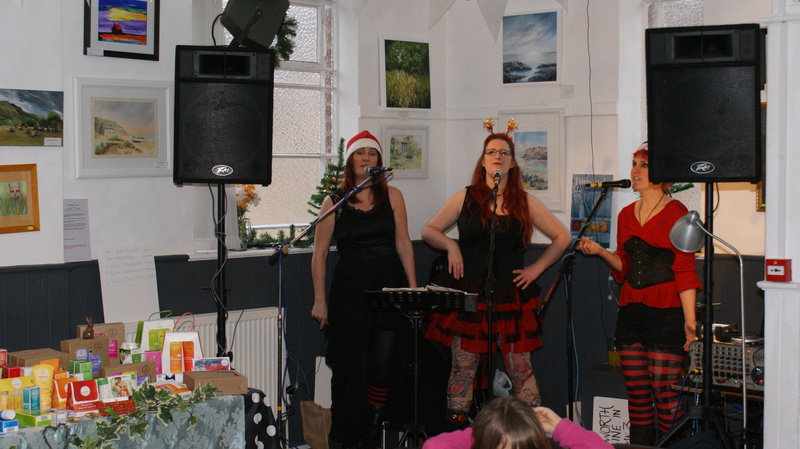 It was a fabulous day, and a great start to the Festive Season!